AU10TIX Limited has collaborated with SafeCharge, a payment and risk management services provider, to integrate its BOS online ID image authentication and processing technology into SafeCharge’s risk management service product. The AU10TIX technology adds automated identification and authentication to SafeCharge’s risk managment services. 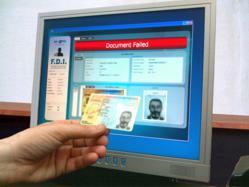 It also provides for conversion of ID and passport images to digital records. This will enable SafeCharge’s customers to automate the processing of ID image files submitted through online and mobile channels. The new product also aims to increase volume handling capacity and processing speed, improve the quality of records and fraud protection and help customers meet regulatory compliance.